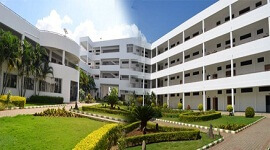 Sri Devaraj Urs Medical College is established in the year All the programmes are affiliated to Devaraj Urs University Karnataka and recognised by Medical Council of India. 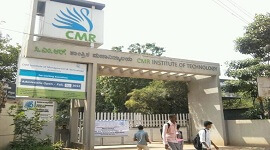 The course curriculum of these programmes are as per the norms and guidelines of the affiliating University viz., Devaraj Urs University, Karnataka. 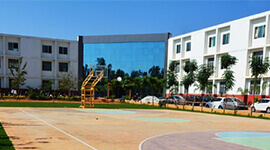 Devaraj Urs college is located at Tamaka village, Kolar and spread over almost 100 acres of lush green campus. 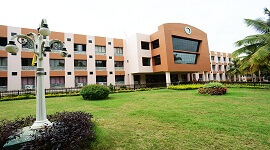 The campus has several buildings to accommodate the administrative, teaching/training, hospital, hostel facilities of The University and the Medical College with a total build up area of 85,000 sq.mtrs. The college plans to start doctoral programmes in Biochemistry, Microbiology and fellowship programme in Head and Neck Onco- Surgery. The University has curriculum for MBBS course within the regulations as prescribed by the Medical Council of India. 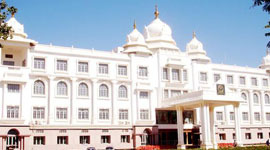 This medical institution has a unique distinction of accreditation by NAAC India and certification by ISO 9001-2000. It maintains a high standard in teaching learning evaluation process and the institution has become a byword for quality Medical Education. 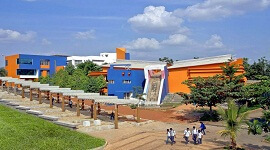 The college campus has huge library with many text books and journals to help students and staff. 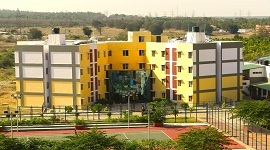 The college has all the necessary facilities for research activities. 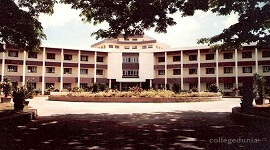 The college Strives hard to become an advanced center for research in medical and allied fields. The journal of Clinical and Biomedical Sciences is an indexed and peer reviewed published quarterly. The journal publishes Original research articles, Clinical Investigations, Review articles, Case Series, Case reports etc. The journal of Clinical and Biomedical Sciences is an indexed and peer reviewed published quarterly. 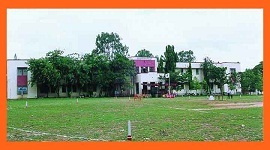 The college encourages extra curricular activities including sports and cultural festivals. The college Strives hard to become an advanced center for research in medical and allied fields. 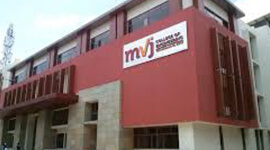 The campus has several buildings to accommodate the administrative, teaching/training, hospital, hostel facilities of The University and the Medical College with a total build up area of 85,000 sq.mtrs. The college conducts medical courses at Under Graduate (MBBS), Post Graduate (MD, MS) and Post Graduate Diploma levels and plans to start doctoral programmes in Biochemistry, Microbiology and fellowship programme in Head and Neck Onco- Surgery . It maintains a high standard in teaching learning evaluation process and the institution has become a byword for quality Medical Education. The journal of Clinical and Biomedical Sciences is an indexed and peer reviewed published quarterly. The University has curriculum for MBBS course within the regulations as prescribed by the Medical Council of India. The journal publishes Original research articles, Clinical Investigations, Review articles, Case Series, Case reports etc.